You don't need a crazy body or audacious exhaust to make a great custom bike. 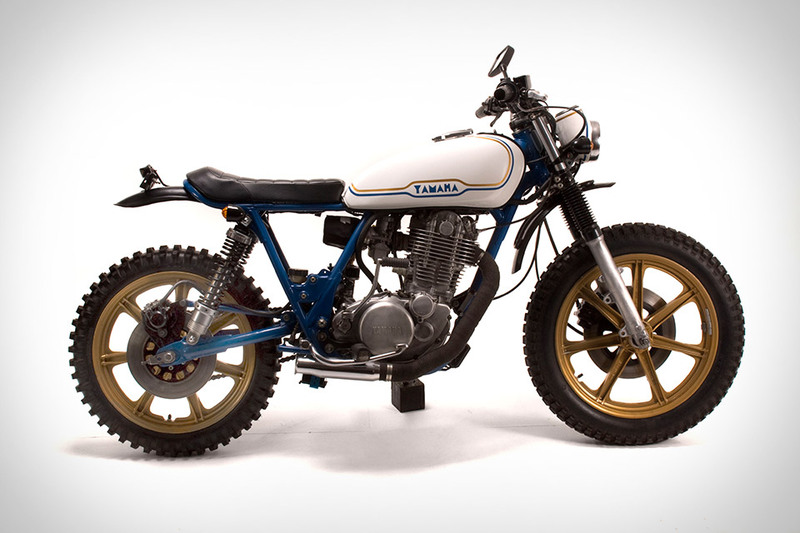 This Vintage Steele 1978 Yamaha SR500 Motorcycle is proof. Built by the Vermont-based cycle shop, it keeps things simple yet stylish, with a knobby rear tire, a retro-styled white gas tank, gold tinted wheels, and a blue-tinted frame that adds a necessary splash of color. And unlike most custom rides, this one won't cost a fortune to put in your garage. As the first bike out of the company's Indonesian arm, you'd think the Deus Ex Machina Bali Dog Motorcycle would be a display-type piece. Instead, it never quits changing. Reimagined multiple times to suit the current rider's needs, it began life as a plastic-clad Yamaha Scorpio, which has since been completely stripped, and is currently outfitted with knobby tires appropriate for the island's rugged trails, a plastic fender for added durability, a vintage lamp and seat for retro appeal, a custom tank built to match the matte-black look, and, of course, bars for carrying your board to and from the beach. Developed in collaboration with BMW Motorrad designer Julian Weber, the Diamond Atelier BMW Mark II Series Motorcycle puts a charismatic spin on the 2-Valve Monolever. The bike comes with either an 800 or 1,000cc engine, and is available in three stages, each with different equipment and levels of modification. No matter which one you choose, you get an aggressive, low-slung cafe racer-style body in your choice of color, and the satisfaction of knowing you own one of just 10 such examples in the world. Inspired by the Yamaha BW200 — a bike that was company founder John Ryland's first ride, and he describes as "a two-wheeled three-wheeler" — the Classified Moto BW650 Motorcycle is ready for both on- and off-road adventure. The BW200 didn't just serve as a design guide, though, as it also supplied the rear swing arm, attached to a Honda XR650L donor with Yamaha WR250R forks. 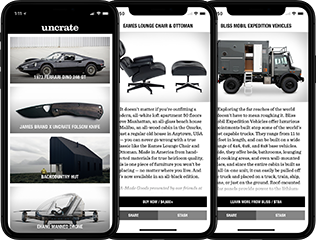 Also notable are the custom triple trees, stainless exhaust and intake, upholstered waxed canvas and leather seat, and the impossible-to-miss oversized STI Black Diamond tires. Based on a K100 from 1985, the BMW K100 Impuls K101 Motorcycle takes a three-decade-old bike and brings it firmly into modern times. Impuls worked with artist Fabian Gatermann, who scanned the motorcycle in 3D, modified the structure, then created a series of polygons for the gas tank and seat which were then replicated in real life by hand. The result is a merging of digital and manual techniques that's fitting for a bike that has its roots in the past yet is perfectly suited for the future. If you're going to customize a Triumph Bonneville Standard, you might as well go for broke. This Ducati Miss Moneypenny Triumph Bonneville Motorcycle is a collaboration between Marcos Martines and Ducati Triumph NYC that was hatched when a client wanted something original he could ride and park in his living room. The fuel tank, headlight, bucket, inner ring, skid plate, and fenders were all removed and replaced with shiny copper while a custom leather seat was created using a British Customs seat pan. As appealing as Monneypenny herself, and optimized for the streets of NYC thanks to suspension modification, adjustable springs, and piggyback shocks. Although it may look vintage, the Rokon Trail-Breaker Dirt Bike is anything but old. The classic 60's frame has been updated with a patented AutoGrab front suspension, making riding on mud, sand, or snow feel almost as smooth as asphalt. A pair of wide tractor tires with all-wheel drive capability can handle any terrain, while a set of hollow drum wheels can provide floatation or storage for over two gallons of fuel or water to help get you way off the beaten path.